A simple example of sigil creation. Sigil creation is a fantastic introduction into chaos magick, and a good way to begin your exploration of occult concepts. It’s also extremely easy to do, completely safe, and only requires a bit of time and a few items you almost certainly have readily available. Although there are many, many variations of the rituals for creating and activating a sigil, we’re presenting the most newcomer-friendly versions below. We’ve also written the ideas out in plain English, and with a bit of context for why you’re doing these specific steps at all. This isn’t to take the mystery or the “magic” out of the experience, it’s just to give you some basic idea of what you’re trying to accomplish as you go. A “sigil” is a symbol. In this context, it’s a symbol that represents a specific goal, desire or ambition that you’d like to bring into your real life. Although sigils are powerful tools, it’s important to understand that there’s nothing inherently supernatural about them. They simply give a concrete form to an idea, and help to focus all of the power of your unconscious mind on making that idea a reality. 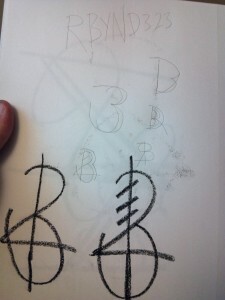 The method for creating a sigil is simple, creative and generally a lot of fun. It can be done alone, or with a small group of like-minded friends. Blank paper, at least three or four sheets. Step 1: Create a quiet, distraction-free environment. There’s a simple reason why traditional magick rituals are done at night, by candlelight, or under the light of the moon. It’s not that one time of day is inherently more powerful than another, it’s simply because it’s easier to focus your attention when you’re not distracted by the normal activities of daily life. Chaos magick is all about bringing a desire or intention one step closer to reality, and the less distracted you are when you’re creating and activating the sigil, the better the results will be. Turn off your phone and your TV. Turn down the lights. Unplug or cover up anything you find distracting. Sigil rituals rarely take more than half and hour (and often far less than that), so don’t worry about missing anything. Optional: Create a focus area. One of the practical reasons for things like the “protection circles” you see in popular occult fiction has very little to do with anything supernatural. It’s about creating a physical area where everything around you reinforces the ritual. Creating a rough circle around you composed of things that are important to you, or which strongly relate to the sigil you are about to create, helps keep your mind focused during the creation process. Along the same lines, turning off the room lights and working under the light of a few nearby candles helps to keep all of the distracting everyday world in the shadows, at least for the duration of the ritual. Some people find that certain music helps them focus, while others find it too distracting. As long as you’re feeling focused, the specifics don’t matter. Step 4: Strike out all the vowels. Words are defined by their vowels. As long as the vowels remain in the words, it’s hard not to see them as words rather than symbols. Without the vowels, the letters can represent any number of ideas. We’re taking the sentence away from it’s role as a literal transcription, and making it one step closer to being a symbolic representation of an idea. What about “Y”? It’s up to you. If it looks or feels like a vowel, strike it. If not, keep it. Optional: Strike out duplicate consonants. If you have a bunch of the same letters remaining, it can be distracting. You probably won’t be using them in the final sigil, so feel free to go ahead and remove them. Step 5: Rewrite the remaining letters in a jumble. As you read the vowel-free sentence, you’ll find your eye drawn to certain letters, shapes and orders. We want to break that up a little bit more. An easy way to do this is to write them in a grid or a circle (you’ll see this method used a lot in various forms of sigil magick). Many people also write the letters in their capital form, which helps to blur the line between, say, the first letter of a name and some random letter from another word. Step 6: Rearrange the letters until you have a new symbol. This is the fun part, and there’s no right or wrong way to do it. Let yourself play with the shapes until you have one symbol that, to you, looks right. Combine the lines of one letter and the loops of another. Place letters over each other. Drop letters that don’t fit. Make new shapes. Don’t think too much about any of it. You have lots of paper, so doodle until you make something you like. As soon as you make the right symbol, you’ll know. Optional: Immediately activating the sigil. Creating the sigil is the first part of a two-step process. The second part, outlined below, is called “activation” (or sometimes “investment”), and it’s distinct from sigil creation. Some people like to activate their sigils immediately, others prefer to give the sigil’s meaning a little time to sink in first. Activation rituals are fairly simple, but they do require their own preparation and an additional time commitment. The sigil works the same in either case, so it’s entirely up to you. Step 7: Congratulate yourself, then return to the world. This isn’t an optional step. Although it may not seem like it, you’ve just worked actual magick. Take a deep breath. Look at the sigil you’ve created. It’s as unique as any painting, invested with your intention, and made by your hands. No one else in the world knows what this new symbol means. It’s powerful, and it’s completely yours. Embrace yourself and your new creation, if even just for a moment, and then slowly come back to the world, observing any differences in how you now perceive it. Additional: Once you’ve gotten the hang of making sigils, you can simplify the process. The instructions above are intended for first-time sigil makers. Once you’ve learned the basic steps, you’ll probably find that you don’t need all of the prep work and can put yourself in a prime sigil-making mindset even in middle of a noisy cafe. What’s more, you’ll probably be able to make outstanding sigils in just a few moments, rather than the half-hour estimate above. Well done! This is a great indication that you’ve mastered the basics of sigil creation, and on a path towards a richer, more vibrant life. Just remember to be mindful as you learn more about the mysteries of magick!